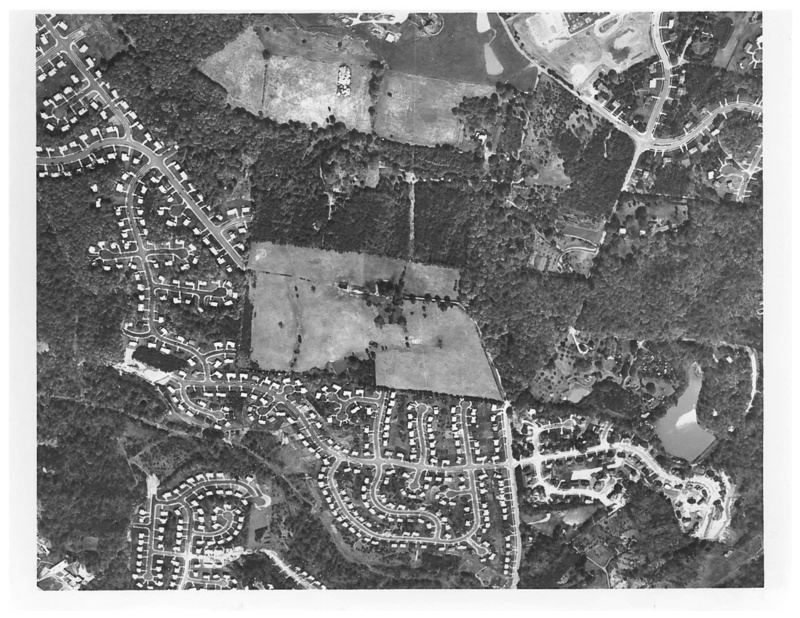 “Oak Hill: Aerial Views 1966-1969,” braddockheritage.org/, accessed April 24, 2019, http://braddockheritage.org/items/show/240. 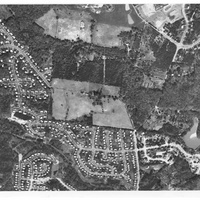 These two aerial photographs, taken between 1966 and 1969, show Oak Hill as suburban development was encroaching close to its borders. Richard Fitzhugh built Oak Hill circa 1790 on his inherited portion (2524 acres) of the Ravensworth plantation. Washington lawyer Edward Howrey and his wife Jane bought Oak Hill in 1935 and renovated the house for a country home. They sold in 1968 to a development company, builder of the Oak Hill subdivision. Aerial Photo 1. Queen Elizabeth Blvd runs horizontally in the foreground. Little River Turnpike (LRT) runs horizontally across the top of the photo, and its interchange with the Beltway I-495) is at top right. Northern Virginia Community College's Annandale campus is under construction: the large area of cleared land in the upper center adjacent to LRT. Aerial Photo 2. Queen Elizabeth Blvd runs horizontally in the foreground, ending near Private Lake in the lower right corner. Braeburn Dr angles into and dead ends at the northwest corner of the cleared Oak Hill land. 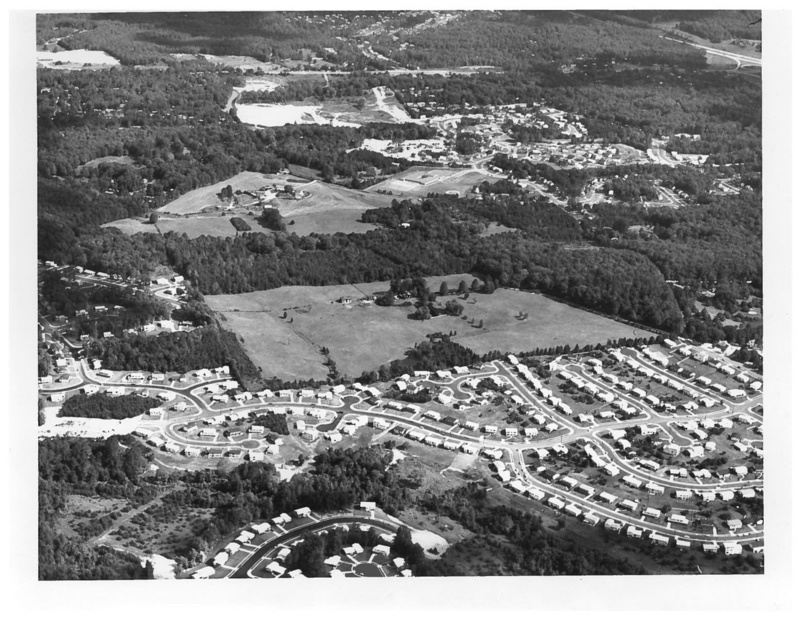 By 1970, houses had been built or were under construction on all sides of Oak Hill, which was saved from development on its present reduced tract of less than three acres.